I ran into a long-time friend and neighbor the other day. I have not seen a lot of her this past year because she has been so busy working and helping an ailing friend. She enjoys reading about some of my food adventures. Then she asked what I am cooking lately. I said was eating a lot of "weird food" (for the average USA American tastes), the result of my last round of food, and I just could not fathom blogging about. She laughed, and said that I should blog about it because it is a good story. So here I am. I personally don't think the food I am eating is weird, rather, it is my comfort food, some of the flavors and aromas are from my childhood made my my mom or my grandmothers. I have been needing serious comfort food lately because work has been stressful with the sequester and furlough (aka cut in pay equal to my mortgage); a family member who suffered for a long time with dementia passed away; a kind, good-hearted senior co-worker, who brightened my day just by saying hello, passed away on the same day; and my car blew a gasket and I don't know if it can be fixed (and I don't have the $ to fix it during sequester/furlough). Through these top 4 stressors in my life, I really felt like I needed to dig deep into the comfort food realm and really treat my taste buds and my stomach well with some serious comfort food. Comfort food for me is not sweet desserts or mac and cheese. I did not grow up with desserts and I was deathly allergic to mac and cheese when I was a child, and did not grow out of the severe reaction to processed cheese and cheap pasta until my 20s. My comfort food is rice, stinky fermented black beans and fish, chicken and rice soup with cilantro and sesame oil, and dim sum. I can't get dim sum in Nashville and I don't want to make it because it is so labor and ingredient intensive, so I needed to go to plan B. I went to an Asian grocery store and got a few ingredients including stinky dried (stiff) fermented tofu packed chili oil, fermented salted ginger black beans, fermented shrimp paste and jasmine rice. My decision was a quick fried rice with shrimp paste. The deal is, a little shrimp paste goes a long way in flavor and aroma. 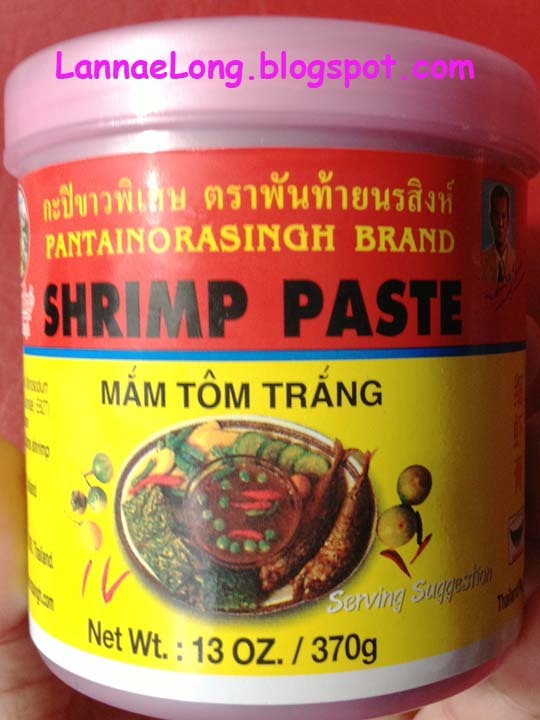 I added about a teaspoon of the shrimp paste near the end of the stir fry process, and my house filled with this delightful (to me it is delightful) pungent shrimp, low-tide and umami-to-the-Nth-degree aroma that makes kim chi smell like Chanel #5. I cannot have friends over for the next few days until my house airs out. I know other Asian friends have kitchens in their garages for such occasions for when they want to cook stinky fermented foods, but I don't have a garage, so it is my indoor kitchen where I cook. In the end, this comfort food dish really hit the spot with aroma, texture, flavor, and comfort. Apparently I can't get enough lobster when I am New England. On this day, we went up to see sister and bro-in-law on the North Shore of Massachusetts. I really like the North Shore. When I was a kid in Boston, the commuter rail went up to Manchester close to Singing Beach. Over the summer, me and my pals would hop on the T and take the commuter rail to Manchester and then walk over the Singing Beach for the day. It was the best kept secret, compared to the the Cape which was always crowded. That commuter rail was something like $2 when I was a kid and now it is $11.25. That is a bargain for commuters if they do not have to drive their cars and park downtown for $30/day. The rail goes all the way to Rockport, which is another really quaint MA coastal town. I really like the MA shore from Rockport all the way down to P-Town. So as we got up to the North Shore, there was a debate on which lobster shack we would go to for lunch. Woodman's it was determined. Woodman's of Essex, MA is almost 100 years old, and Woodman's is the creator of the fried clam. Yes, you read that correctly, there was no fried clam until 1914. You can thank Woodman's for that tasty treat. So we show up to the lobster shack, and Woodman's finally takes credit cards. This is the deal, most of the true lobster shacks are cash only businesses, so this is a big deal for Woodman's to take credit cards and really great for us! 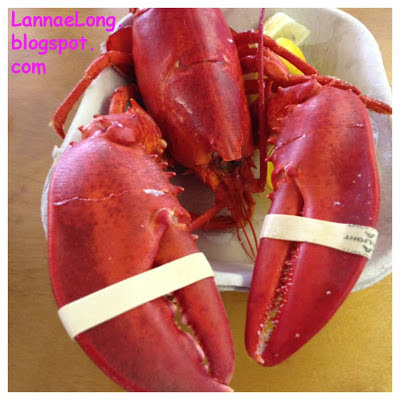 Woodman's is really well known in MA, and locals tend to take out of town guests to Woodman's for the lobster shack experience. There are also a lot of tour buses that pull into this joint as well. It is really busy, but the place is huge and can hold a lot of people. Woodman's is also a tradition for many in the area, so it holds a special place in a lot of locals' hearts. Here is the gig on ordering at Woodman's: one person in your party orders and pays for the lobsters outside where the big boiling pots are. A second person from your party goes inside and orders the rest of food like cole slaw, fries, sweet potato fries, fried clams, onion rings etc and pays for those at the hot food counter. A third person in your goes to the bar and orders the drinks and pays for those at the drink bar. And lastly the fourth person in the party picks up the plasticware, napkins and finds a table. The best part about Woodman's is that it is plumbed, so you can use a real bathroom and sink to wash your hands after tearing apart a lobster. Some other lobster shacks are just that - a lobster shack, and you got a port-o-potty, and that is not good eats. I do take hand sanitizer with me everywhere I go, but it never seems to be the same as a good hand washing with real water. So, yet on another day of my vacation, I got myself another lobster, but this time super local. The lobsters came in right there in Essex, so my meal radius is less than 1 mile. That is beauty of having lobster in New England, it is a local food, and I can be true to my ideal of being a locavore.